Buy now for $10 through Paypal. "His style is pure Texas, honky tonk, western swing, outlaw and beautiful ballads are there in equal meaure. 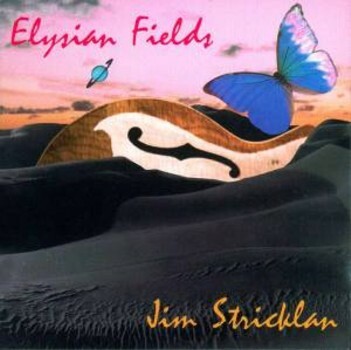 His songs are both interesting and entertaining.. 'Elysian Fields'has an environmental theme with such thoughtful songs as 'Gone Are The Grizzlies' 'Working With Wood' and the title cut. But there are also great songs like 'Holly' and a tribute to Roy Orbison in 'Ooby Dooby Man'...Jim Stricklan is a more than satisfying country experience."